← What Anne wants…Anne gets…..eventually! Can I tell you how nice it is to be home. Got in on Tuesday night late and yesterday went and got my nails done :-), went shopping with Shelby and went to dinner with Craig, Shelby and her boyfriend Scott. Tonight we have family coming in for CJ’s graduation party. Weather is horrible but would much rather be home than driving in it. Saturday we will celebrate Aleena’s bday so it is a fun filled weekend. Busy few days but love having family in. The truck is finally set the way we want it. Really nice to be organized and have a place for most everything. I want to take some pictures this weekend so you can see how awesome our apartment is LOL. Took a couple pics of Lil Bit in the truck. 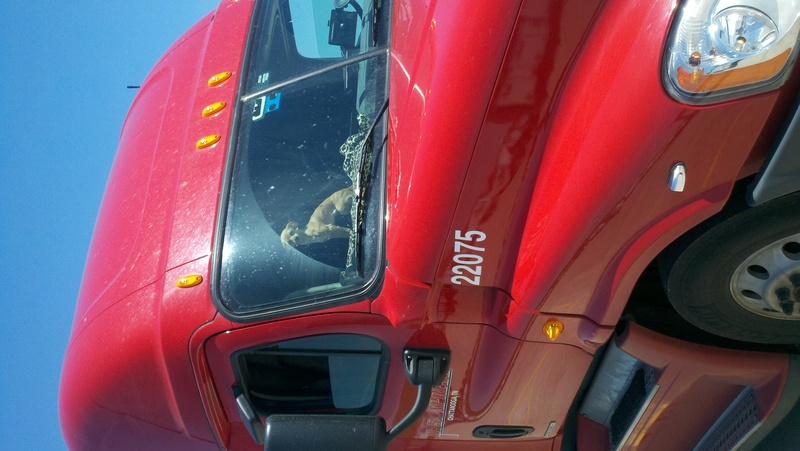 She should be a trucker dog too but can’t have two dogs yet. Max likes being an only child though.